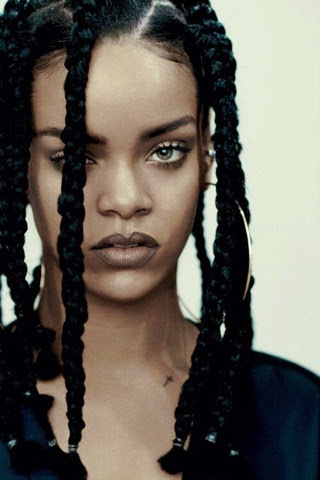 This months favorite cover girl pick is Rihanna she's definitely slays magazines every time she's on a cover. This shoot is very simple and raw, but like always she's a beauty. 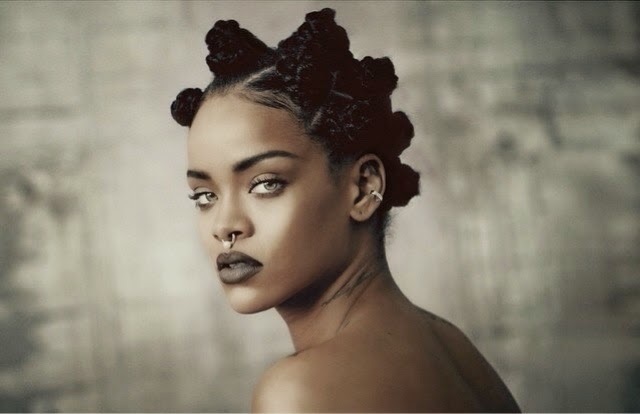 To celebrate the release of 8th album the bad gal tones down the glam but not the looks. 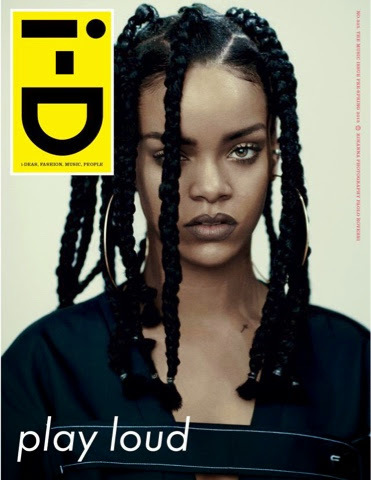 She's on the cover for ID magazines music issue, serving braids and bantu Knot goodness wearing a Celine top!